Have you ever experienced periods of sadness, feeling out of sorts, somewhat blue, detached along with other variations of mood at several points during your life? Depression occurs when these emotions become a condition of being as opposed to a passing mood. Fortunately, there are natural remedies for depression you can use to help yourself feel better. Clinical depression can eventually impact your physical health and capability to carry out regular daily activities. A depressed person may eventually encounter suicidal ideas and exhibit self-evident tendencies in case their depression remains untreated. You can get depression for a variety of reasons. Some cases of depression are brought on by nutritional deficiencies. Others cases of depression are the consequence of environmental factors, like lack of sun in case of routine seasonal depression. If you visited your doctor or therapist and received a diagnosis of depression, the medical practitioner tries to prescribe the best remedy for your particular kind of depression. Remedies can be as simple as making changes in lifestyle or dietary adjustments. In extreme cases of depression, prescription medications could be required to alleviate the condition. Apart from following your doctor’s orders, it’s significant to be proactive in your treatment which means using alternative medicine which could help improve your health on a day-to-day basis. Exercise relieves signs of depression and alleviates anxiety, which can contribute to depression. During exercise, the body releases endorphins, which reduce the perception of pain and work as a sedative. Exercise is a natural mood elevator. Good Nutrition – Eat healthily. Nutritional deficiencies can cause symptoms in men and women. If you are showing manic symptoms, you may have to undergo laboratory testing for nutritional deficiencies and hormonal imbalance. People deficient in more than one of the B-Vitamins, Calcium, Magnesium, and D vitamin can be particularly susceptible to depression as can individuals with thyroid imbalances; the thyroid releases hormones, which regulate the entire metabolic procedure. Does St. John’s Wort Have Any Drug Interactions With Antidepressants? Ask your doctor about using herbal supplements. Pills derived from the active components of different herbs have been successfully utilized to treat depression. A herb commonly recommended for the treatment of depression is St. John’s Wort. It appears to be most successful when you use it to treat mild to moderate cases of depression. You could also try Saffron which shows promise as a treatment for depression; however, it may cause remarkable adverse effects in large doses. Supplements have to be taken with caution and ideally following a health care practitioner’s supervision. They could interact with several other medications and can have negatively adverse effects on some people. Always consult your doctor if you are thinking of using natural remedies for depression. Establish sleep patterns which are healthy. The quantity and sleep quality that you experience directly impacts your health and status. Getting sufficient sleep and completing an entire sleep cycle affirms mental and physical wellness. Stay engaged in activities and set goals. Depression has physical elements but is mainly a mental illness. In order to fight mental disorder, the brain needs to be engaged in ways, which cancel the signs of depression. Sticking to a routine of daily actions and setting goals alleviates some of the bad thinking, which frequently comes with depression. Doing this will help you from getting down on yourself. In other words, attaining daily goals and keeping routines counter the negative self-talk that could accompany depression and worsen your symptoms. Explore various mind body connection techniques. Yoga, Tai Chi, Meditation, Biofeedback, Aromatherapy, Acupuncture, along with other alternative therapies provide relief from the signs of depression. They offer respite from fatigue, nervousness, and thinking. 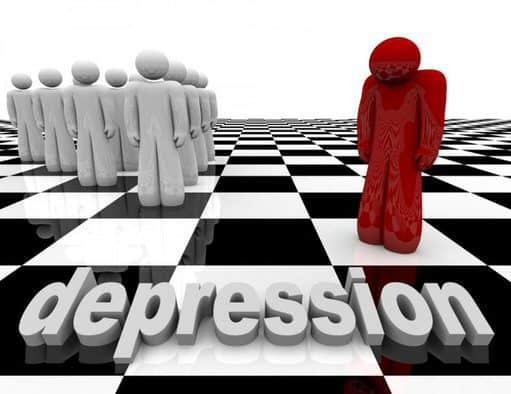 Many men and women live with mild to major depressive disorder without seeking medical assistance. If you suffer from depressive conditions, you no longer have to suffer from the disease forever. Fortunately, many choices for the treatment of depression exists. You can manage your depression, and it is possible with some hard work and the right help to completely alleviate your symptoms. Diagnosis and treatment of depression lessen the condition and has an overall positive influence on your health and relationships. So natural remedies for depression may benefit you in many ways but always consult your medical practioner before taking them.